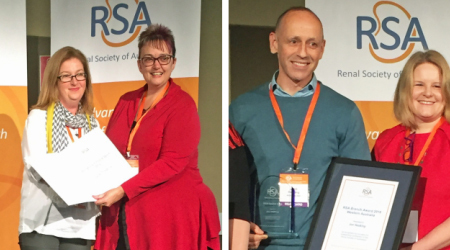 Congratulations – Jon Hosking and Julie Tondello have been recognised by the Renal Society of Australasia! Jon and Julie were the very worthy recipients of, between them, four prestigious awards at the Renal Society of Australasia’s Annual Conference held on the Gold Coast, Queensland, 21-22 June. 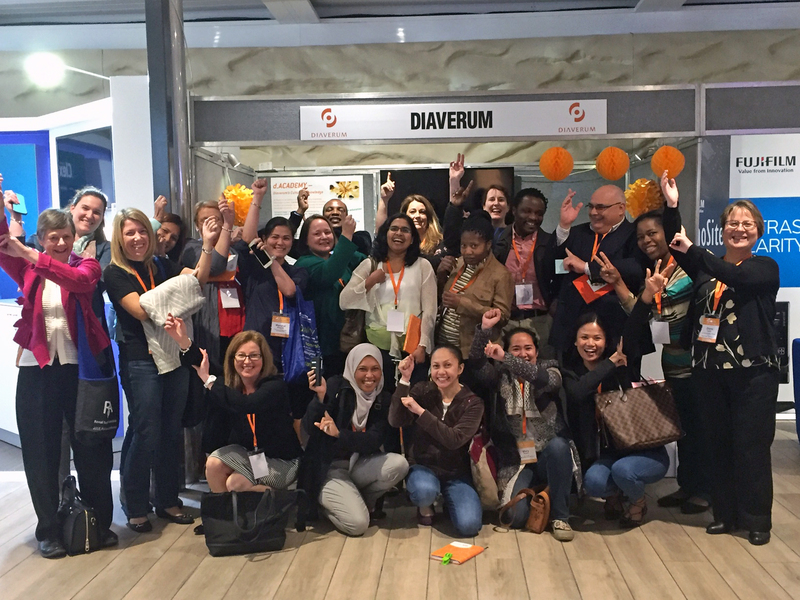 Jon was appointed Clinic Manager for Diaverum’s new clinic in Auckland, New Zealand, earlier this year but had been an active RSA member for a number of years in his previous hometown of Perth in Western Australia. It was for his work there that he won the RSA Western Australia Branch Award 2016 (as nominated by his colleagues in the RSA WA Branch). He also collected the overall RSA Award which recognises individuals who have made an outstanding contribution/commitment to the RSA/renal community at a local and/or national level. The Association noted that Jon is a well-deserved recipient for his tireless work which included, until recently, chairing the RSA WA Branch and serving as Convenor of the 2015 conference in Perth. Julie, Associate Nurse Unit Manager from Victoria’s Diamond Valley Clinic and a Diaverum employee since May 2010, had an outstanding result by being awarded both the Best Advanced Paper and People’s Choice Award. Her innovative presentation, ‘Could your fistula rupture?’, dealt with how an occurrence of this type should be managed. This material was developed after a pre-survey of Diamond Valley patients discovered that 90 per cent had either no idea or a limited understanding of this. Dialysis patient Greg Collette, who co-authored the presentation with Julie, flew to the Gold Coast for support. In addition to the overwhelming response received by everyone, Julie was invited to publish an article in the Nursing Journal, participate in a trial at Auckland Hospital and roll out her studies as education material to the renal community. Her topic was simple, yet inspired many. Australia Country Managing Director, Esteban Harper Cox, says it is a pleasure to have both employees as part of the Australasian team. “I would like to congratulate both Jon and Julie on these wonderful achievements,” he adds.